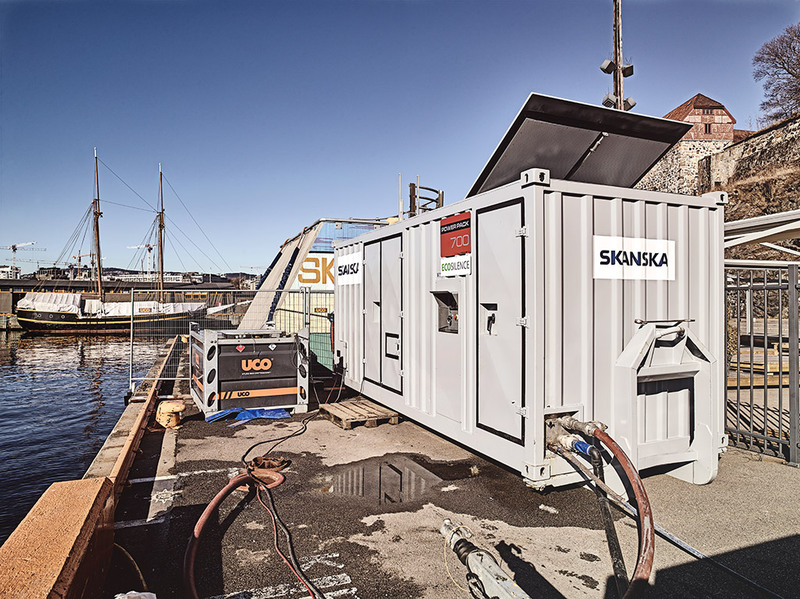 At the harbor in Oslo, Skanska AS Norway is performing a major renovation of the structural parts of a 4000 square meter large pier. 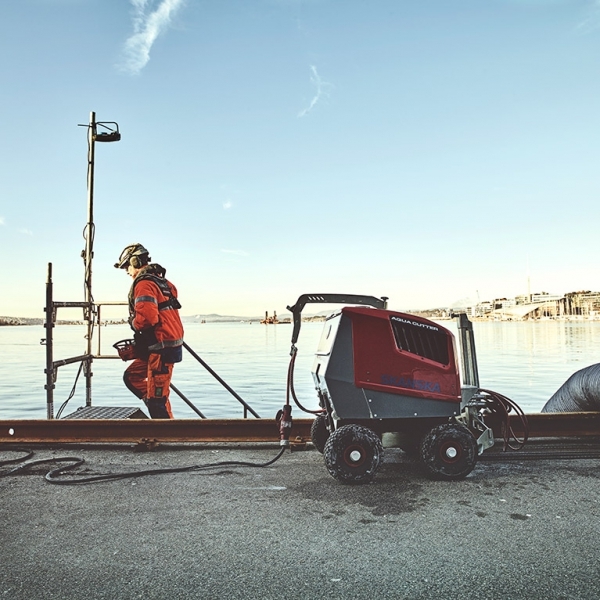 A dangerous and seemingly impossible operation due to tide and an inaccessible subsurface working area. But not with the help from Aquajet Systems. 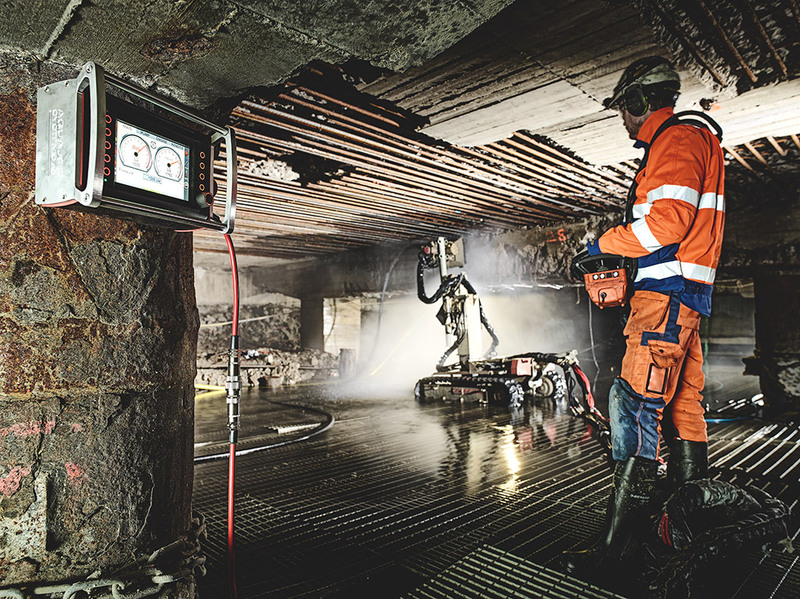 The massive project at the Pipervika quay in Oslo, Norway, is undertaken by Skanska AS. 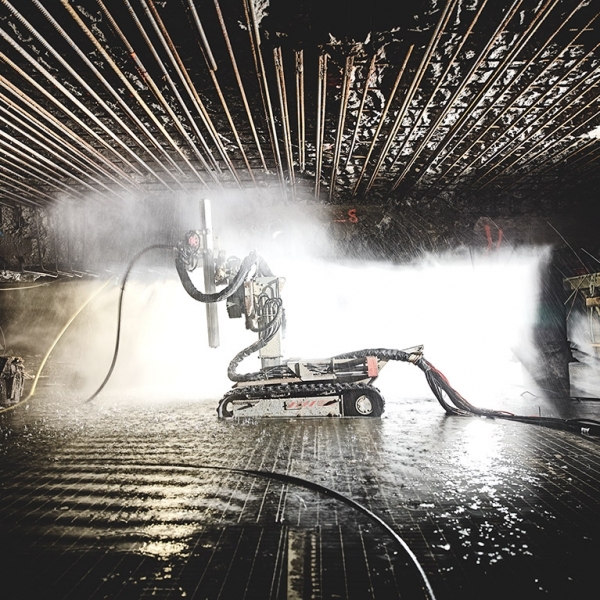 Under the large pier Skanska AS discovered extreme damages in the structural bearing parts. That’s bad news in itself. Furthermore, most parts are inaccessible for large demolition robots. Above all, the pier is an unsafe environment for Skanska’s workers, due to tide and subsurface concrete removal. Something extraordinary had to be done to avoid dangerous, time consuming and hard manual labor. 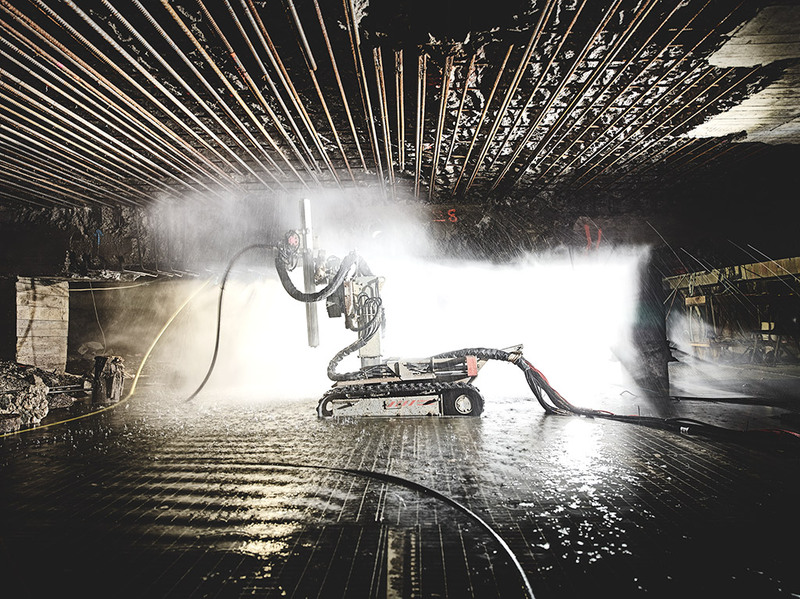 For the job at hand Skanska chose the Aqua Cutter 410A with a disconnectable power control module (PCM), in combination with a Power Pack ECOSILENCE, by Aquajet Systems. Back in the hard days everything was done by hand, which means that a project like this would not have been possible. In the past Skanska AS used unpredictable rail systems and old, ineffective pumps from the 80’s. Those days are long gone thanks to Aquajet Systems. 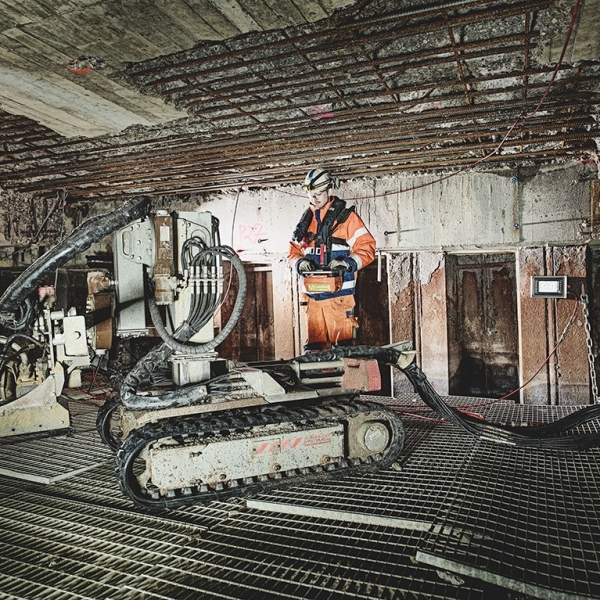 The solution from Aquajet Systems allows Skanska AS to disconnect the power control module from the tracked crawler. 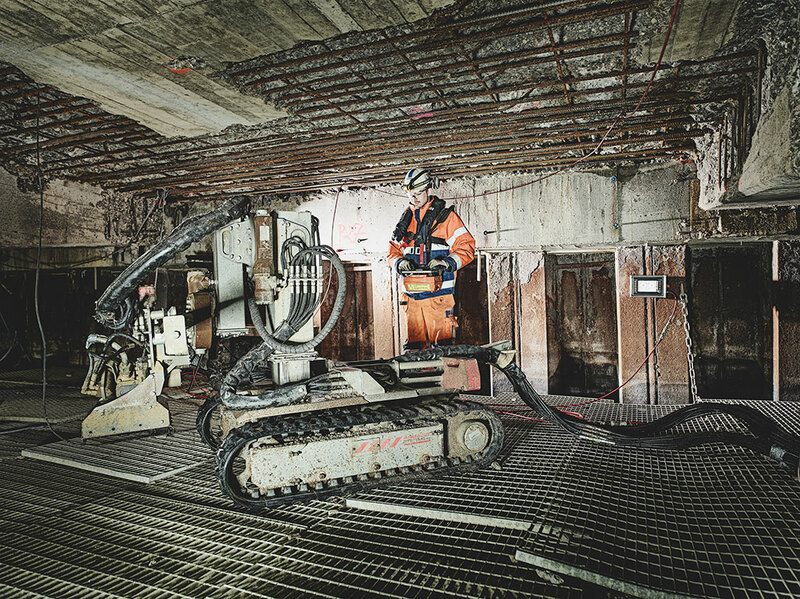 This allow the operators to safely drive the crawler into the tight and flooded areas under the pier. 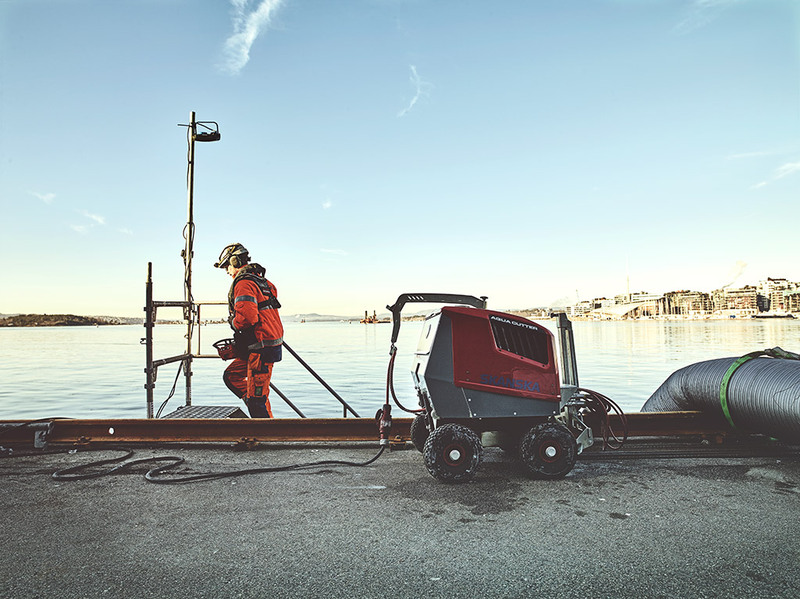 The Aqua Cutter is powered by a cord to the PCM, which stands on dry land, and the robot is controlled with a remote control. In other words, the operators have total control in horizontal, vertical and overhead operations – at a safe distance without getting their feet wet. 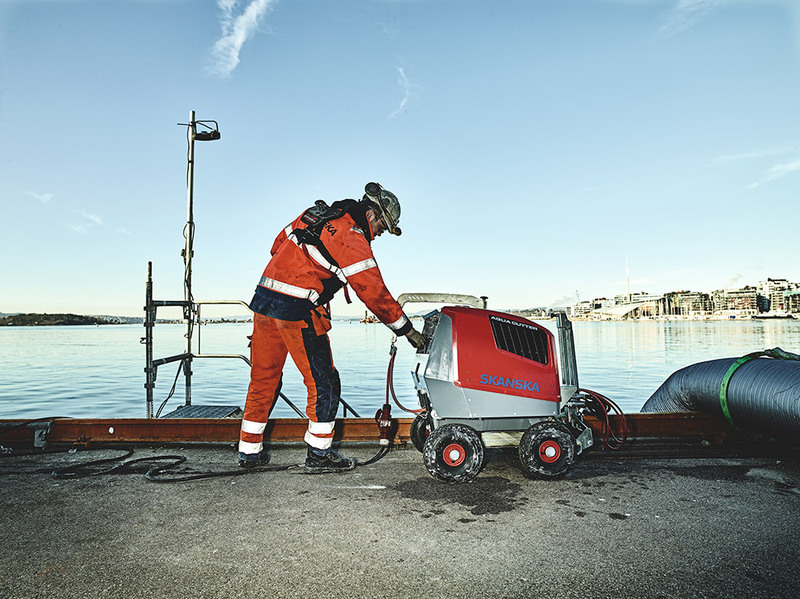 The Aqua Cutter 410A is used with the Power Pack ECOSILENCE, a super silent high-pressure unit, specially designed for Hydrodemolition in urban environments with highly regulated noise levels. In this case, pressure and flow were set at 1000 bar and 180 l/min. 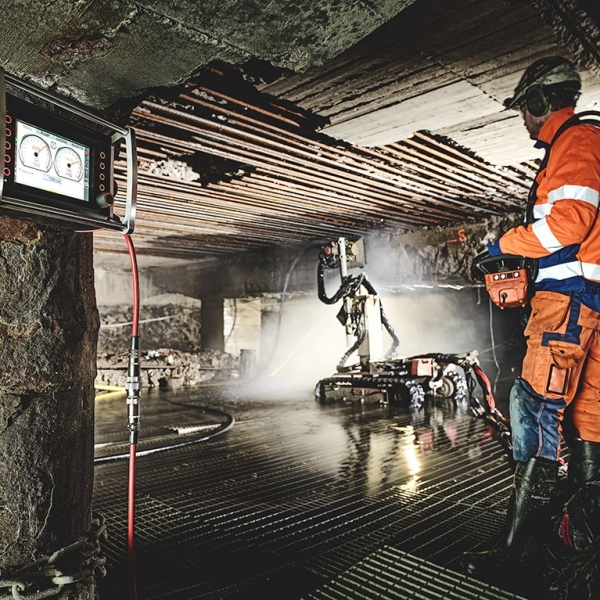 According to Skanska AS in Norway the operators have increased efficiency by almost 50% and have removed 750 metric tons of concrete so far, with less effort compared to before – all thanks to Aquajet Systems.